Whole Foods recently opened its seventh Whole Foods 365 grocery store. 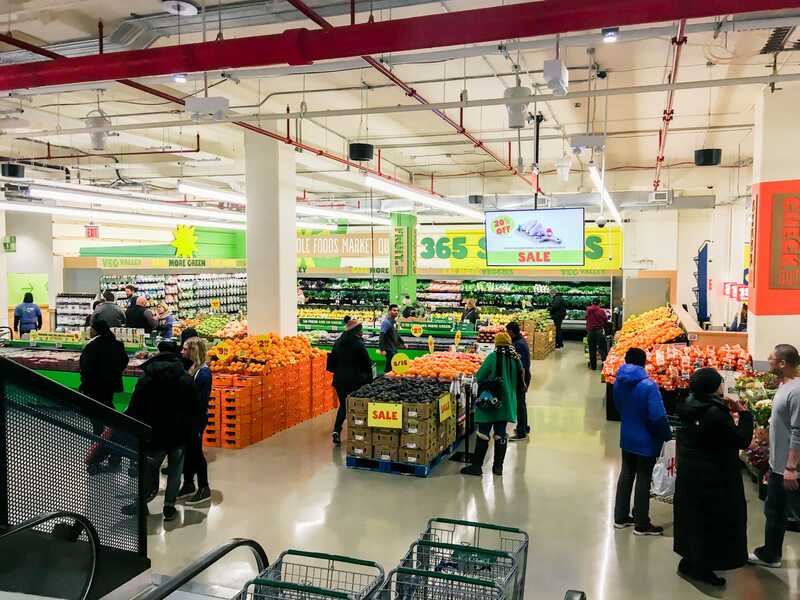 It’s part of a new chain of budget-oriented grocery stores with a focus on the retailer’s private-label brand. 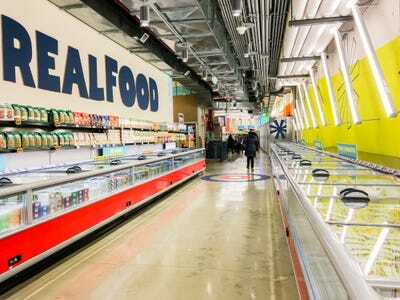 The newest Whole Foods 365 store in Brooklyn, New York, competes directly with nearby Trader Joe’s stores by having lower prices than Whole Foods but a similar selection of healthy foods. 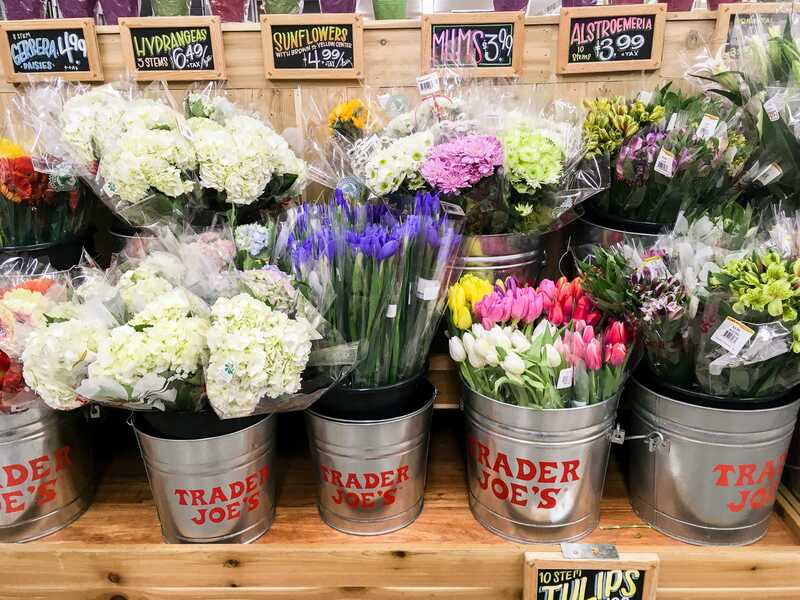 I went to a Trader Joe’s and a Whole Foods 365 to see which store was better – and the winner was clear. Trader Joe’s is known for its inexpensive and healthy products, and customers are willing to wait in sometimes outrageous lines to get groceries from the store. 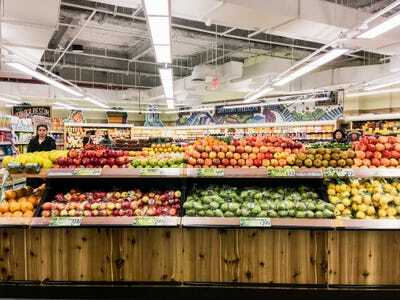 Whole Foods, which is typically more expensive than Trader Joe’s, recently expanded its chain of 365 stores to compete more directly with lower-priced grocers. 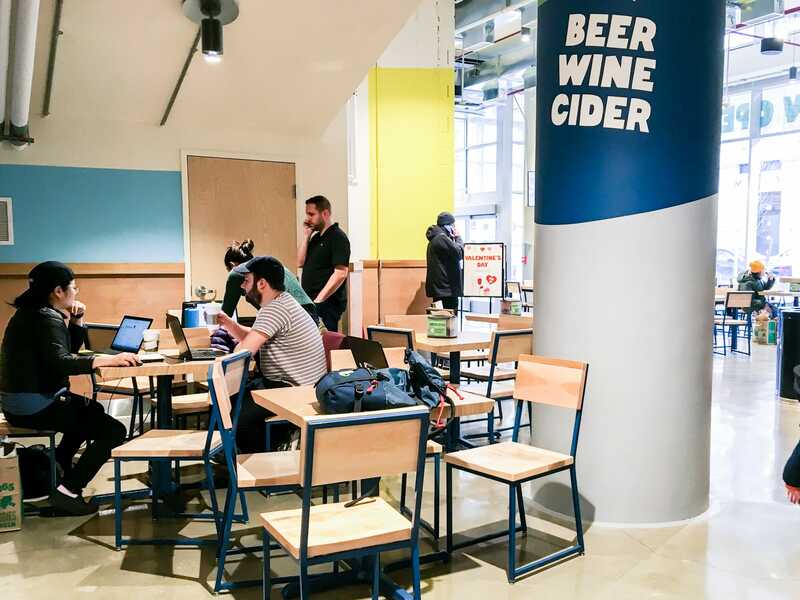 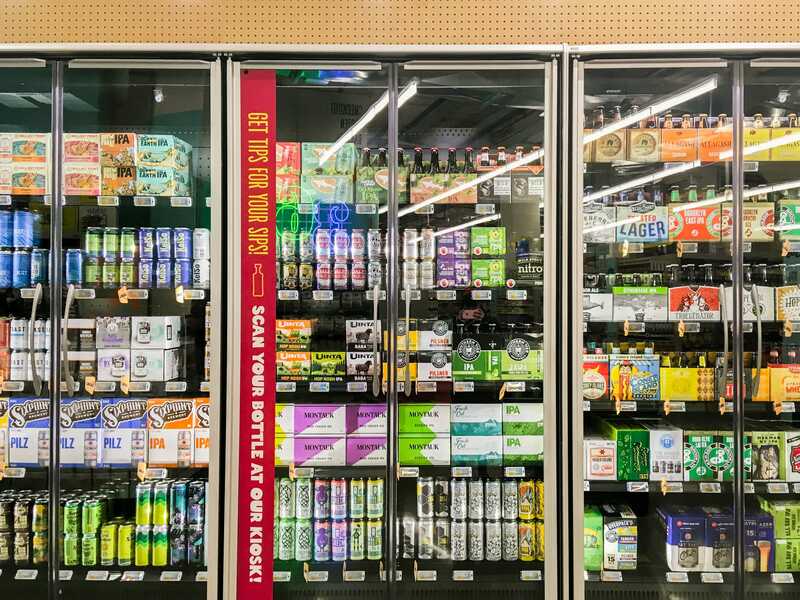 Whole Foods 365 is designed to be more accessible and less expensive than a traditional Whole Foods store, and it emphasises the retailer’s private-label brand, also called 365. The Whole Foods 365 stores feature in-store dining and seating areas, a rewards program, and a huge selection of products intended to set it apart from its competitors. 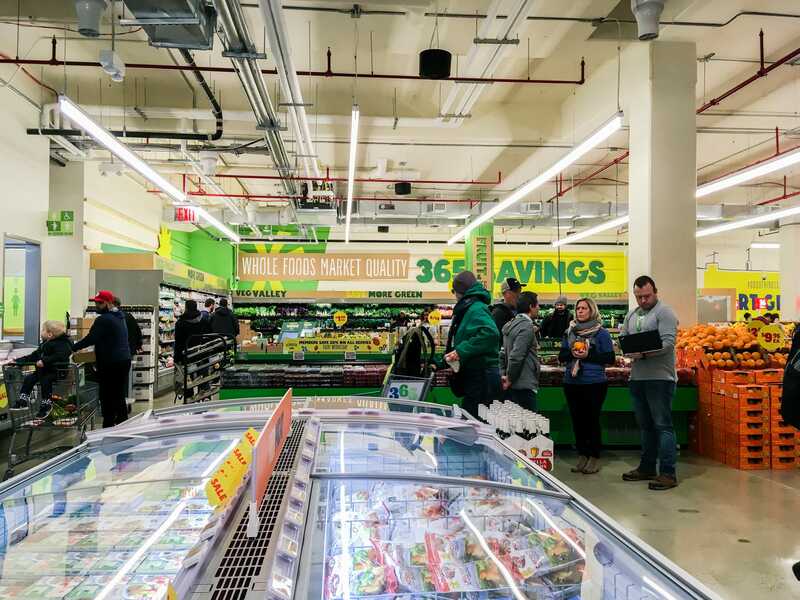 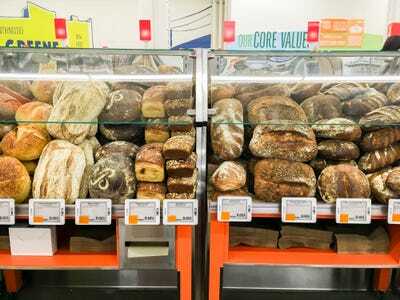 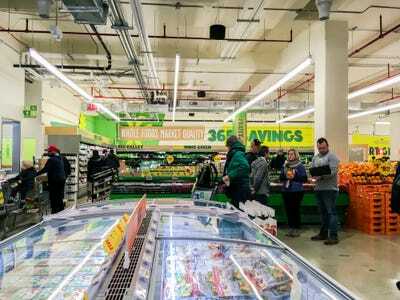 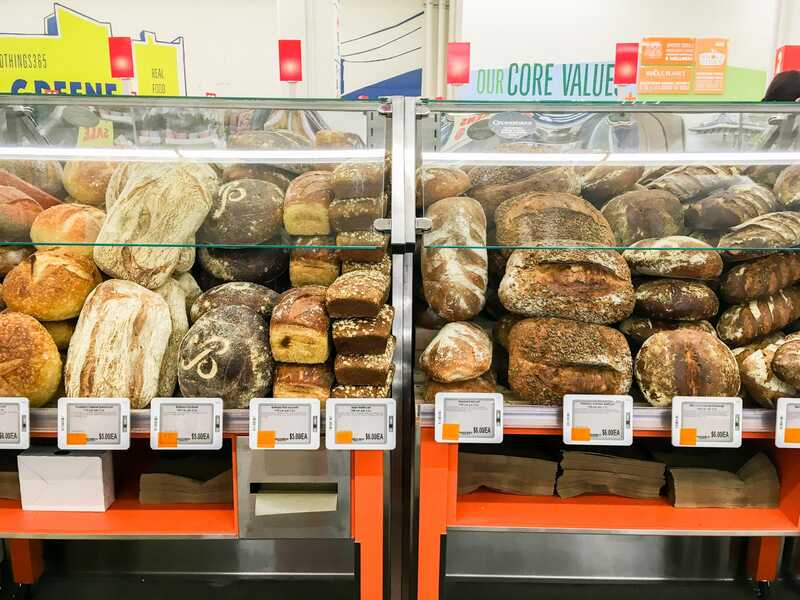 I went to a Trader Joe’s and a Whole Foods 365 in Brooklyn, New York, to see what it was like to buy groceries at each. First, I went to Trader Joe’s. 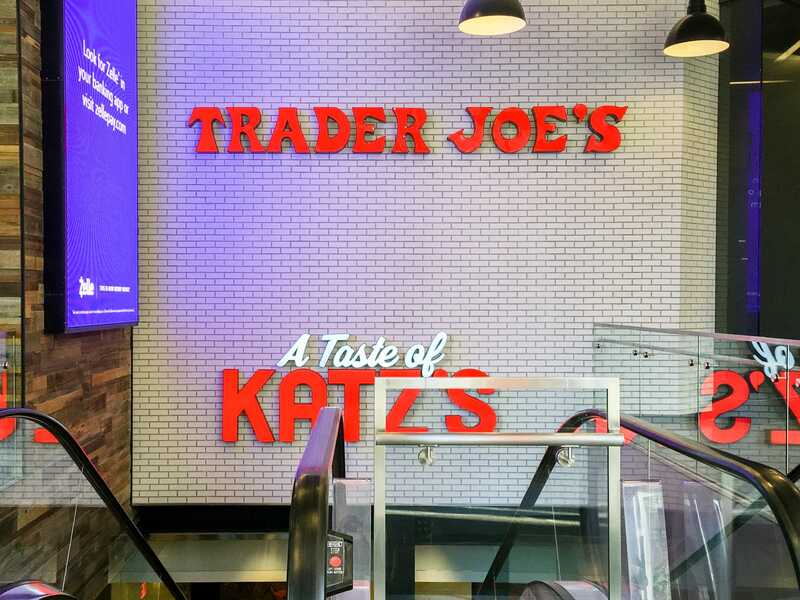 Located in the food court at the City Point shopping center in Brooklyn, this Trader Joe’s had a lot of places to sit and eat outside the store. 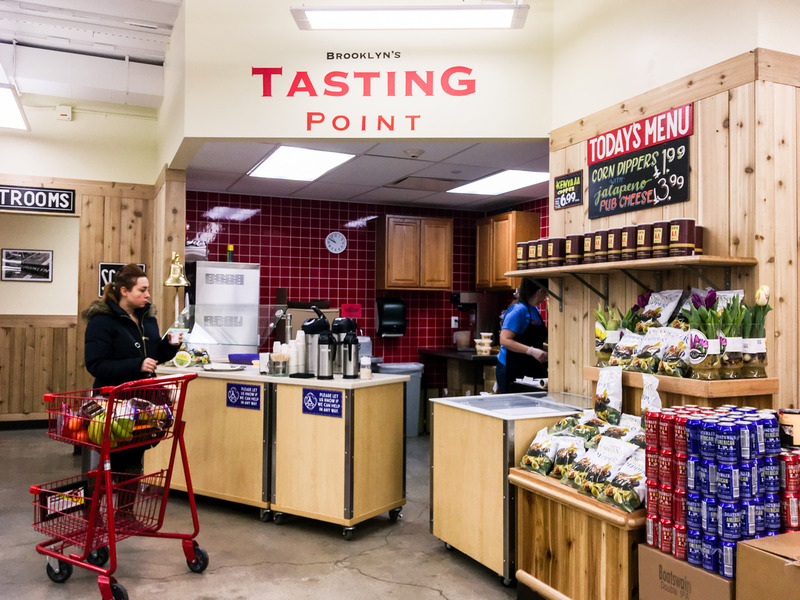 Considering how crowded Trader Joe’s stores are known to get, I was surprised at how quiet this location was. The first thing I saw when I walked in was the flower display, with bouquets from $US3.99 to $US6. … and the organic foods were only a few cents more expensive than the nonorganic versions. … and apples at $US0.49 each. 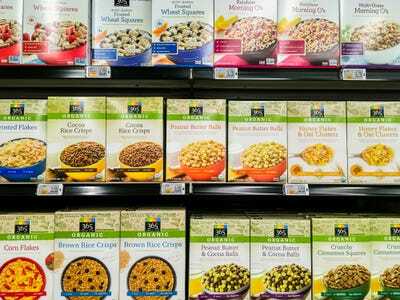 In fact, most of what the store offered was pretty inexpensive, such as the cereals for $US3 or less. 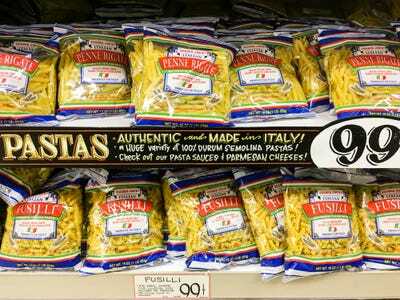 It also had $US1 pasta. 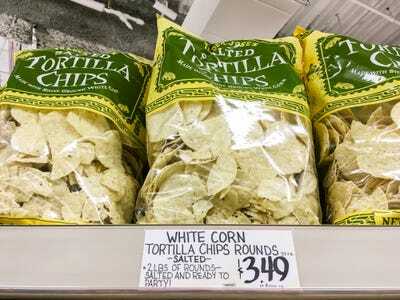 But some of the snacks were more expensive. 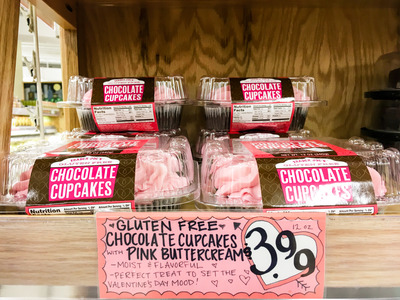 Trader Joe’s offered a handful of specialty items that are vegan, kosher, or gluten-free. Plus it had a tasting station with samples and the option to try anything in the store. Though there were more than 20 registers, only a few were open, so there was still a line. 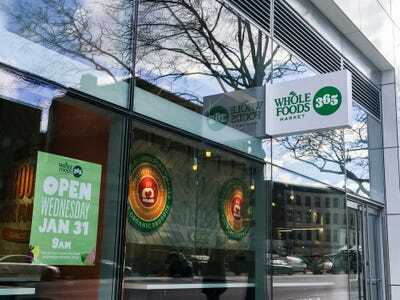 Next, I went to the brand-new Whole Foods 365 store, just a few blocks from Trader Joe’s. On the upper level were a bakery, a juice press, and a vegan burger joint, along with other smaller vendors. 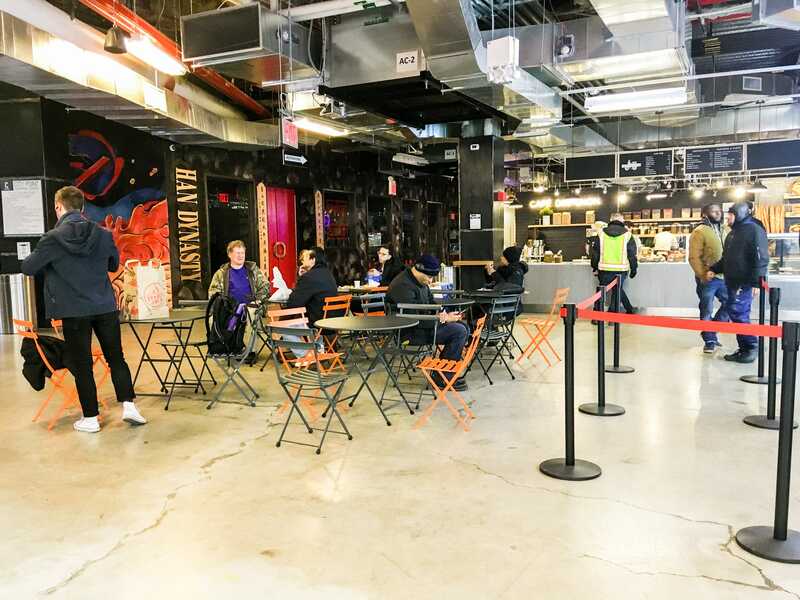 There was a big seating area to hang out in — a perk unique to the Whole Foods 365 stores. The grocery store was downstairs, and it was huge. It was also pretty crowded. 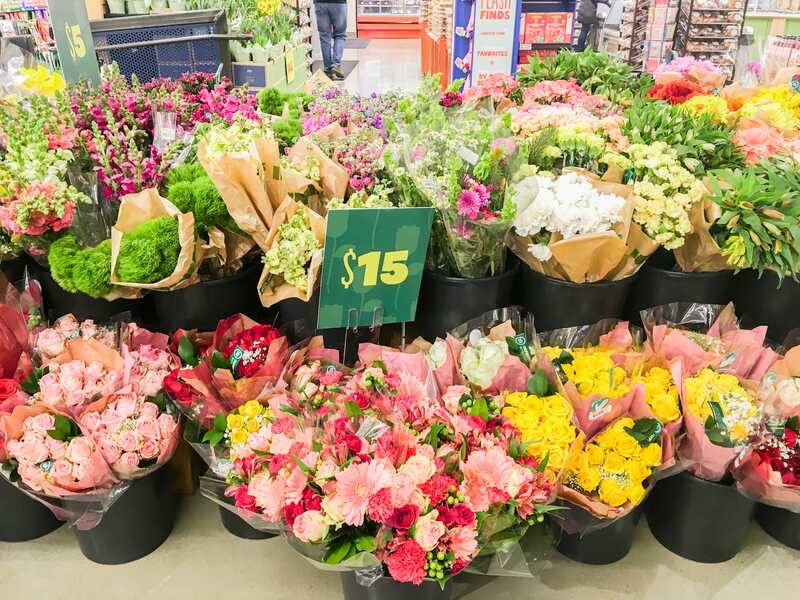 The first flowers I saw were priced at $US15, but Whole Foods 365 also has options for $US5, $US10, and $US20. 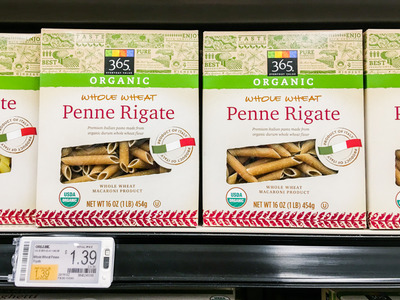 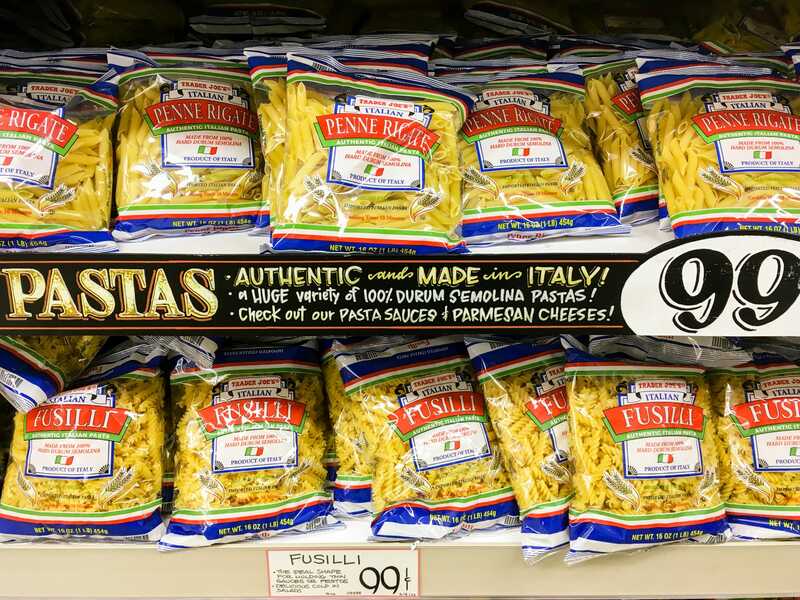 At $US1.39, some of the organic pasta options were more expensive, but Whole Foods 365 also price-matches Trader Joe’s when it comes to non-organic pastas, which cost $US0.99. 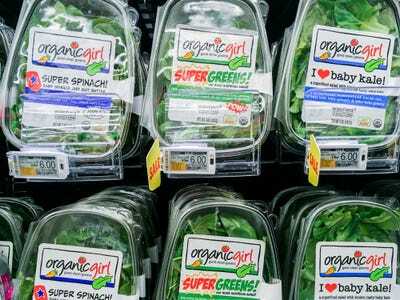 Whole Foods 365’s organic spinach and kale were two for $US6, whereas similar greens at Trader Joe’s were $US2.29 each. 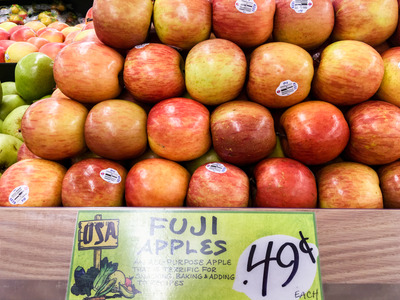 The prices for nonorganic produce were on par with those at Trader Joe’s. 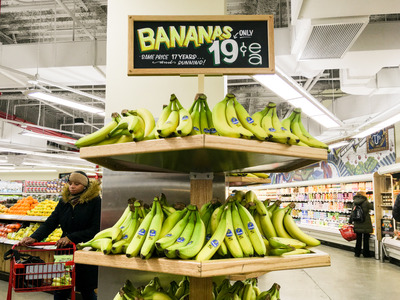 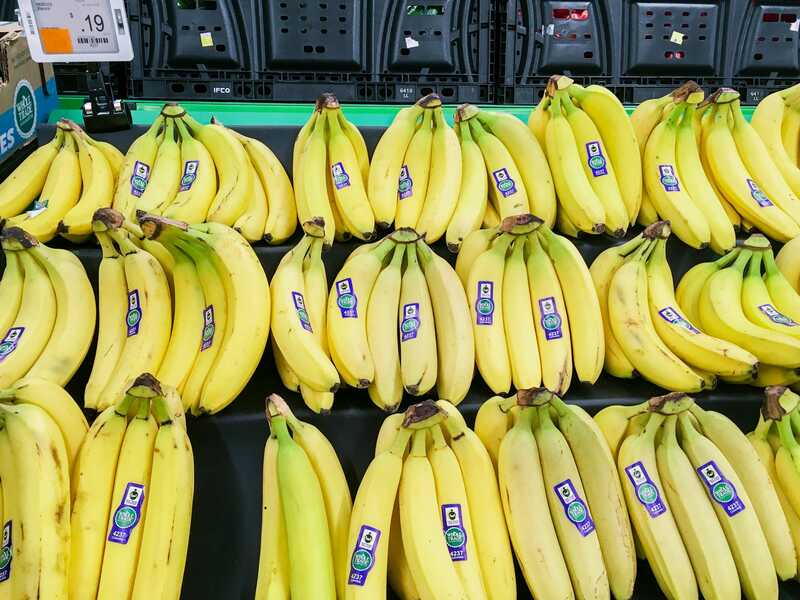 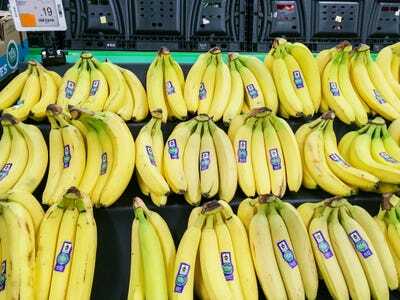 Whole Foods 365 matched Trader Joe’s banana price at $US0.19. 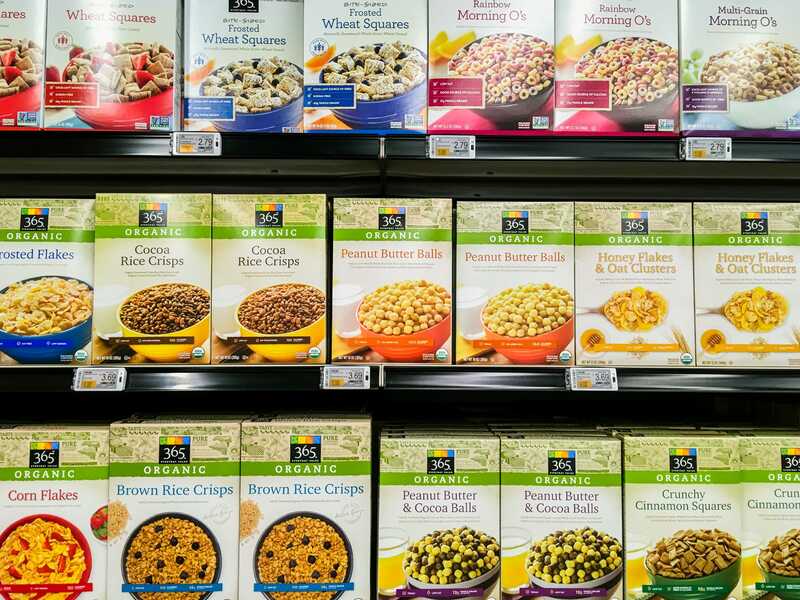 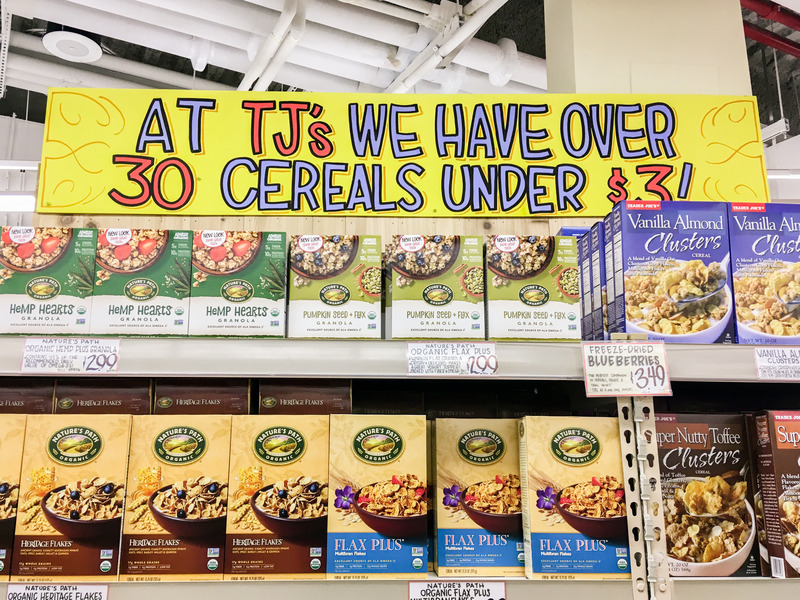 The cereals were also priced similar to those at Trader Joe’s, with most boxes of the 365 brand at under $US3. A lot of 365-brand snacks were less expensive than similar items at Trader Joe’s. 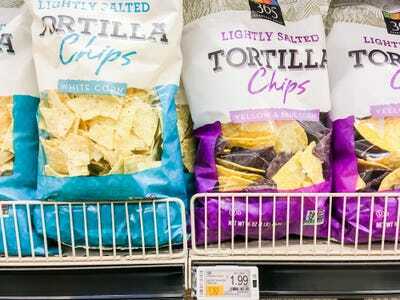 The tortilla chips were one example of this — they were almost $US2 less at Whole Foods 365. 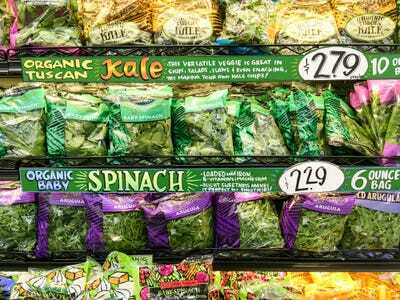 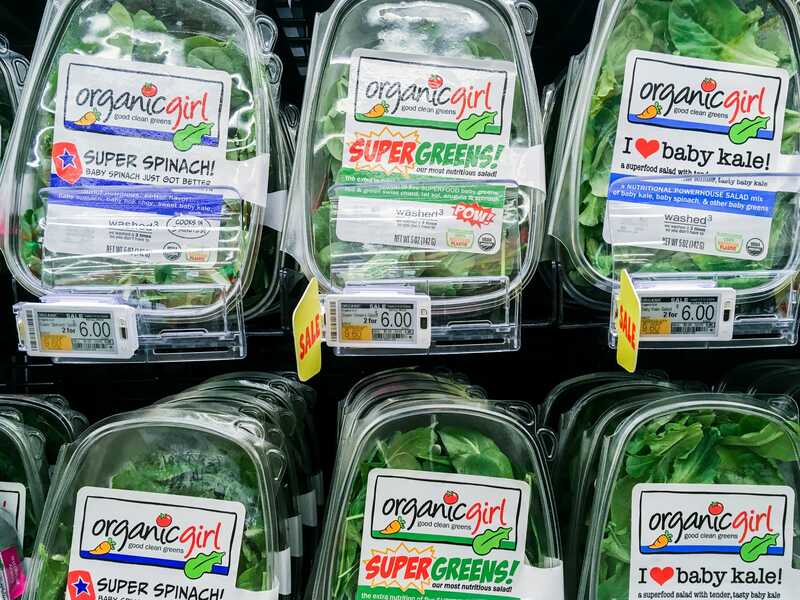 It seemed as if specialty items like organic foods were more expensive at Whole Foods 365 while nonorganic produce and snacks were typically cheaper. 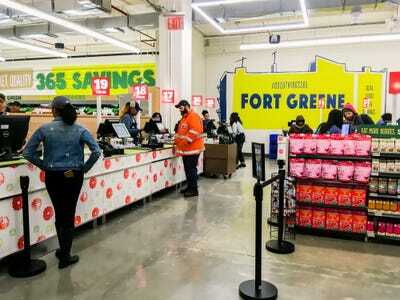 There were also way more savings opportunities at Whole Foods 365, especially for rewards-program members — customers who sign up for the program can get an instant 10% off hundreds of products, on top of discounts based on their shopping habits. 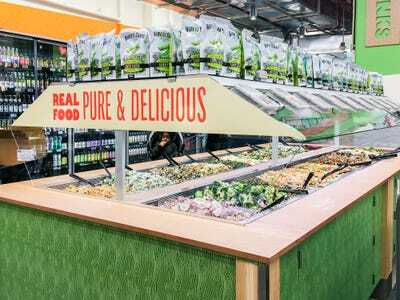 Whole Foods 365 didn’t have any samples, but it did have a hot-food bar, which Trader Joe’s did not have. 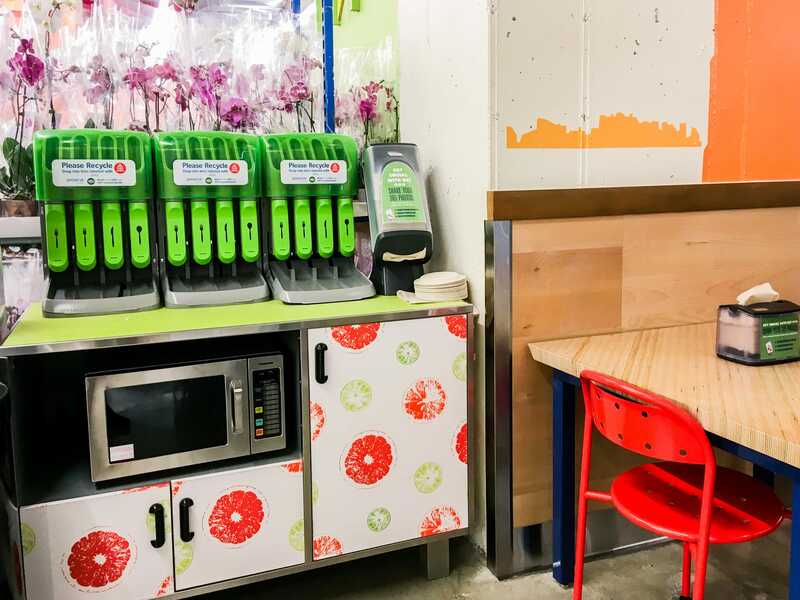 Next to the hot-food bar was another seating area to enjoy the food right after you buy it. 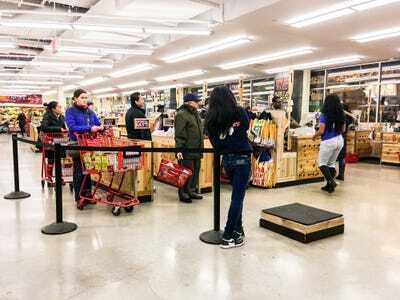 Almost all of the 20 registers were open, and there was no line. 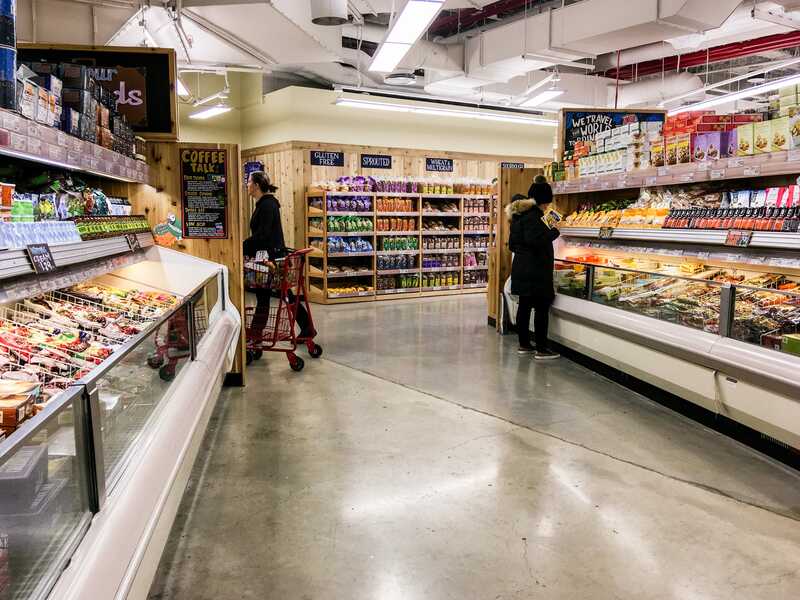 Overall, Whole Foods 365 had a wider selection and a more shopper-friendly environment, including shorter lines and in-store restaurants and seating. 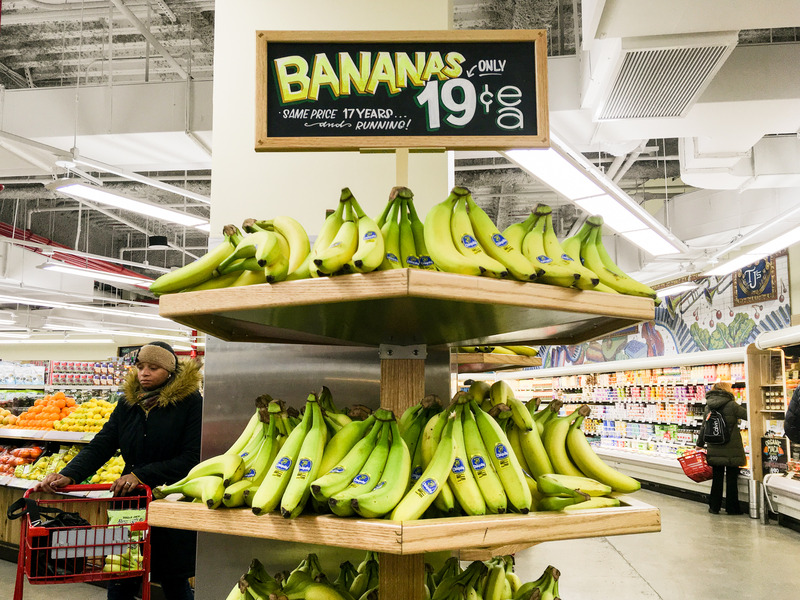 Though some products were more expensive, there were sales and other savings opportunities that Trader Joe’s lacked.